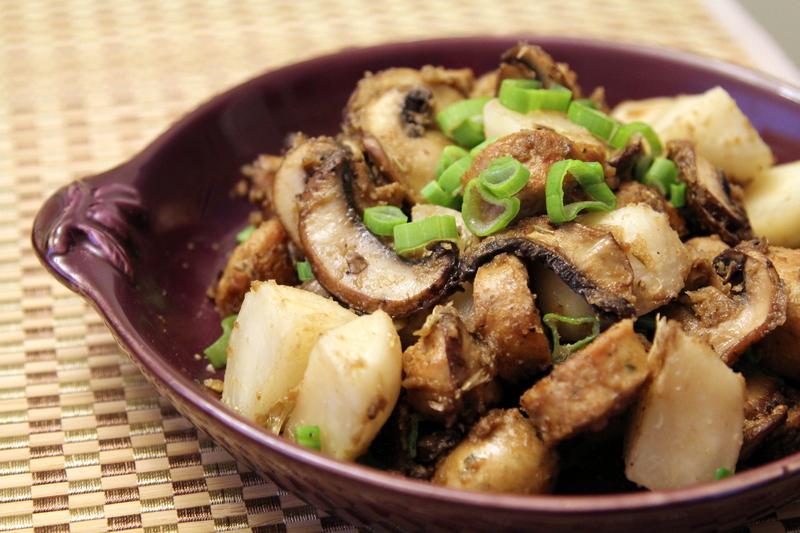 Baby Turnips and Mushrooms [recipe] – Cin Cin, Let's Eat! My favorite thing about this delivery service is that it gives me the opportunity to challenge myself to cook with whatever is delivered to me. I was familiar with everything in the box, except for the white baby turnips. I cook a lot with those white long turnips in Chinese and Japanese dishes, especially in soups, but I have never used these baby ones before. Farm Fresh to You has a list of recipes on their websites so I found this one and did some slight tweaking. It was super easy and the turnips were so sweet and tender! I sauteed the mushrooms with diced spring onion (the white/purple part), also added roasted garlic and some leftover sliced spicy chicken sausage. 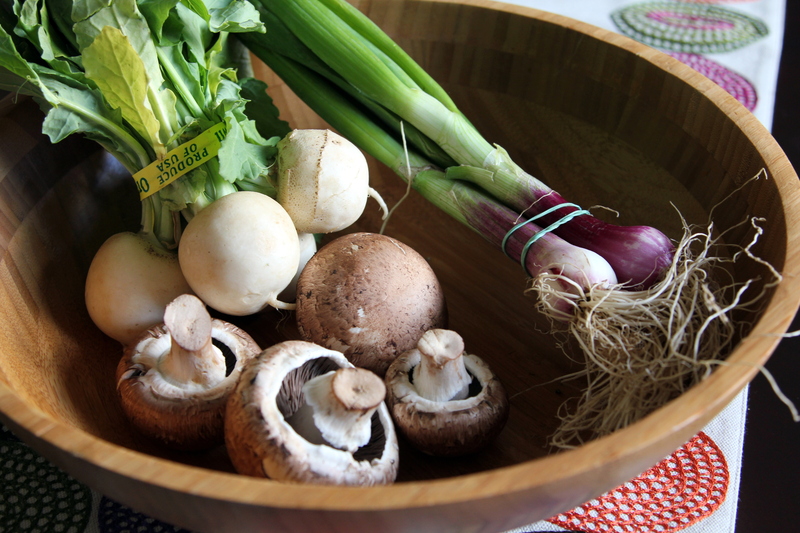 The green part of the onion was used for garnish. For the herbs, I had some oregano and parsley on hand. I didn’t particularly like the texture after adding the breadcrumbs, but nevertheless, still a good dish. Granted it’s not a cheap way to buy your produce, so I would probably be placing an order once a month or every other month. Gotta show some support for my fellow UC Davis grads, you know? I can’t wait to see what’ll be in store for me next time. Something distracted me as I was reading this and I started to scroll and looked away and I caught the mushroom picture and was whipped right back. Gorgeous! Love the recipe. ← My love affair with Macarons…continued.